My new shop is now open! Hi everyone! I hope you have had a good weekend. It was a long weekend here in Australia as we were celebrating Anzac Day. I have spent the last few days excitedly stocking my new shop. Yes! New shop! Madu.etsy.com specializes in needles, hooks and notions. 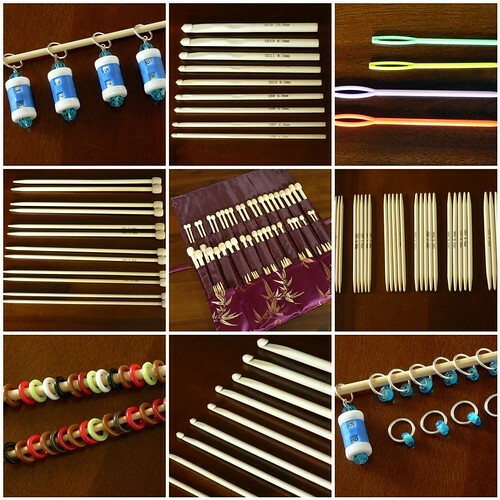 I have super smooth and light bamboo needles and hooks, cute little stitch markers and row counters, and beautiful silk needles and hooks organizer roll. The bestest bit is that it will always offer FREE SHIPPING WORLDWIDE! So pop on over to MADU, have a browse and whether you buy or not, add it to one of your favourites shop ok. I hope to be stocking a bigger range of stuff over the next few months. Posted on Mar 28th, 2010 in Shop | Comments Off on Clearance Sale! I have decided to clear the stock in my Etsy Shop to start fresh again. Prices have been heavily marked down. So please help me find new homes for these bright-eyed and lovable soft toys. 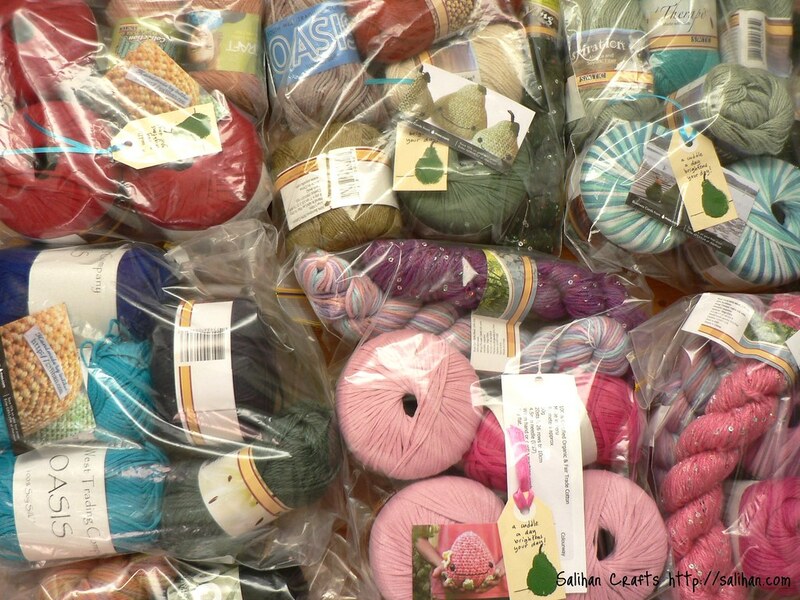 The exclusive organic and eco-friendly yarn packs must go! Save 35-50% off RRP. 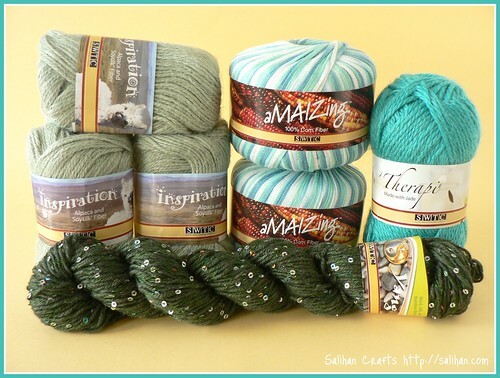 These yarn packs are strictly one-offs and they will only be available until 7 April 2010! *All prices are in US dollars and does not include postage. It feels my heart with warmth knowing how quickly the crafting community has responded to the Haiti emergency. Yarn Harlot threw up the knit-signal encouraging knitters to make directed donations to the MSF, the Craft Hope Etsy store opened its doors to handmade donations and 100% of the proceeds goes to Doctors without Borders and many Ravelry designers have pledged part of their proceeds to help Haiti relief efforts. I am doing my small bit to help by donating 50% of the proceeds of all my patterns on Ravelry from now till the 31st of January to the MSF; Médecins Sans Frontières (MSF) is an international, independent, medical humanitarian organisation that delivers emergency aid to people affected by armed conflict, epidemics, healthcare exclusion and natural or man-made disasters, like the people of Haiti. 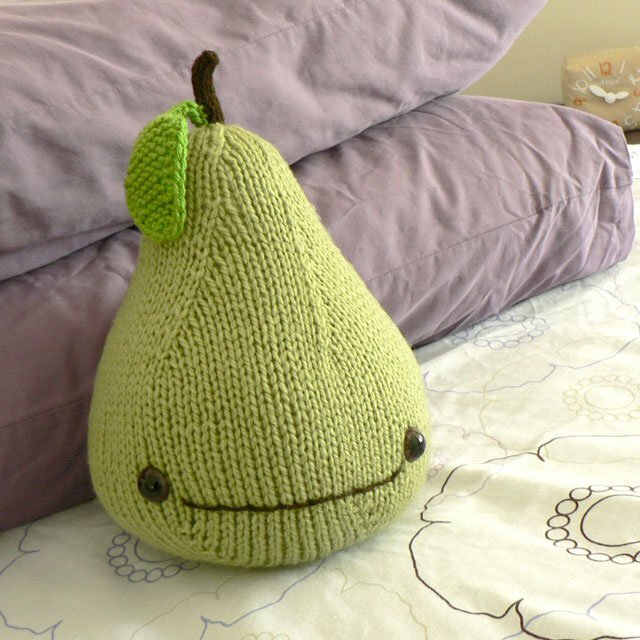 If you have queued my patterns for future projects, why not buy them now and help me do my bit. If you are not interested in any of my patterns, please check out all the other great patterns on Ravelry who have pledged to help Haiti. Thank you so much crafters. 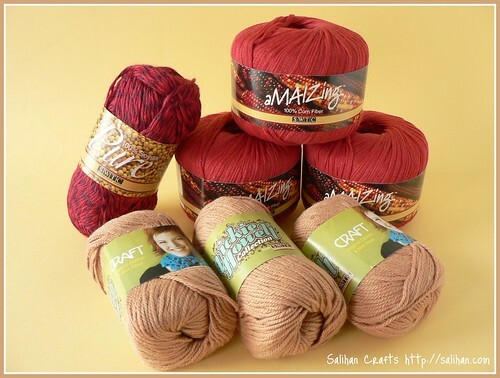 ECOYARNS have put together 8 special yarn packs exclusively for Salihan Crafts Shop. 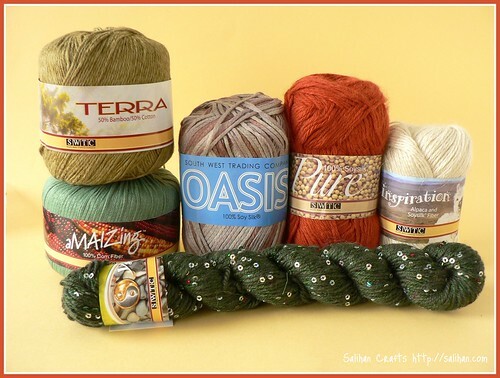 Each individual pack is filled with beautiful eco-friendly and organic yarns at a massive 35% to 50% discount! It is a great opportunity to grab a bargain or simply to try eco-friendly and organic yarn for the first time. 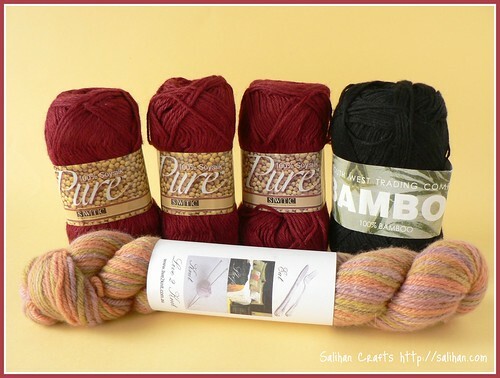 Each yarn pack cost $45 and are one-offs, never to be repeated again. While stocks last! 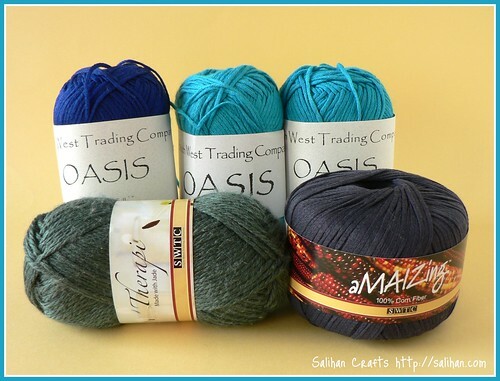 Also visit ECOYARNS for your organic and eco-friendly yarn, fabric and fibre needs. 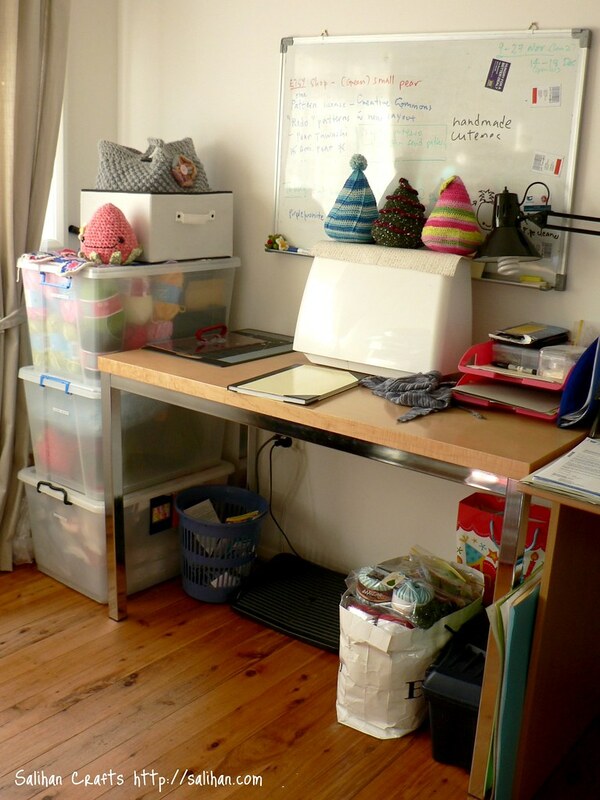 I have organized my craft space and I’ve kept it clean and tidy for a few weeks now. 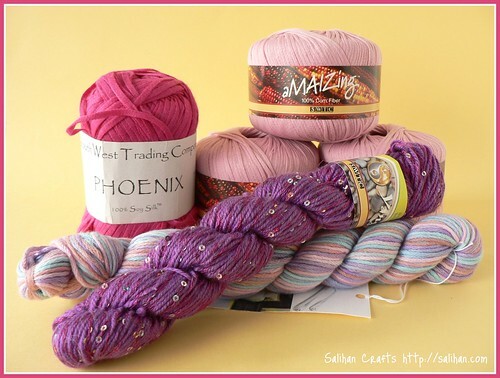 Hard to believe that my new system stood up against overly enthusiastic stash enhancement shopping sprees and even more yarn acquisition from a generous friend and the dabbling of yet another craft hobby and most importantly, “I’ve-got-a-great-idea-that-I-must-do-it-right-now!” moments! 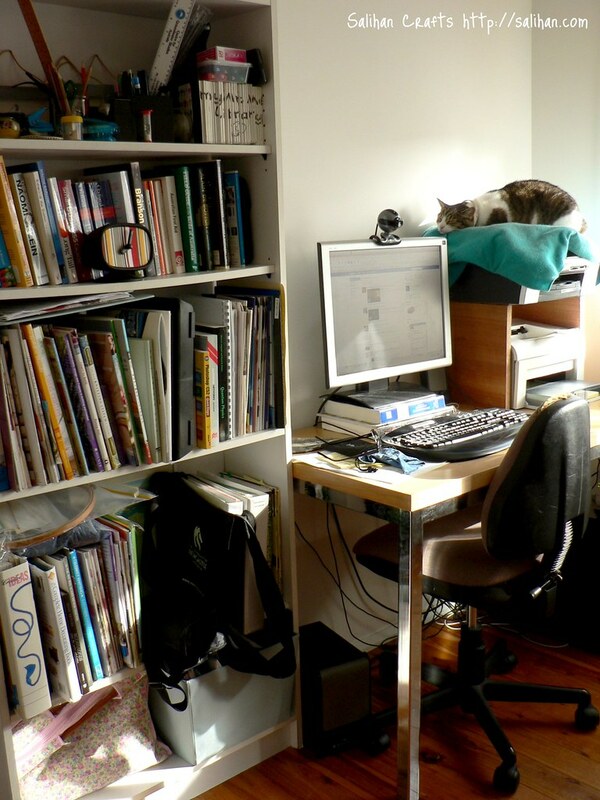 Ifa, my female cat, pretty much lives on the printer. The only time she gets up voluntarily is when I’m cooking or eating or when it’s her dinner time. I normally kick her out of the room halfway through the day so that she can get some exercise. It’s so good to have a table just for my sewing and crafting. The white board and stackable storage boxes helps keep me on track and in check. Cats have learned to keep off this area, otherwise, Mummy goes psycho! 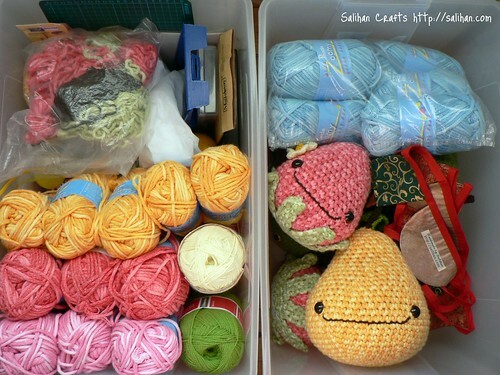 Two of my 50 litre containers hold my store related materials, stock and yarn. My thinking is that if these boxes are overflowing, I’m not selling enough products quickly enough. Time to re-think a few things. The largest of the containers is 57 litres and it holds all my stash yarn. 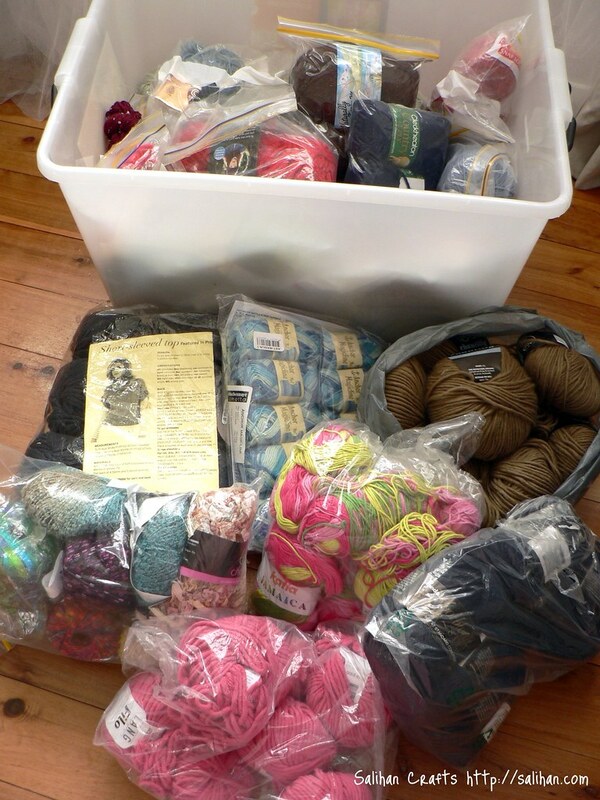 I really can’t afford to have any more than this much yarn. I don’t have the space or the money to let this grow any bigger. 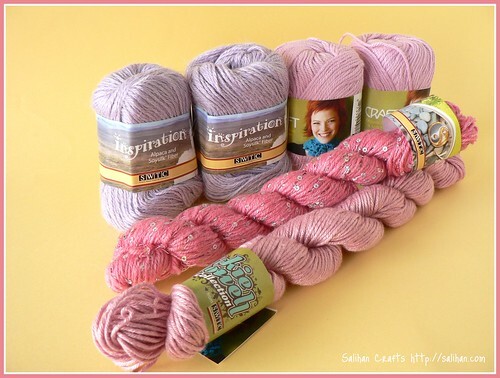 I have enough stash yarn to keep me knitting and crocheting for at least one year! Although, I will make allowances for free yarn. I’m not that silly! I would like to talk more about this in detail next week. 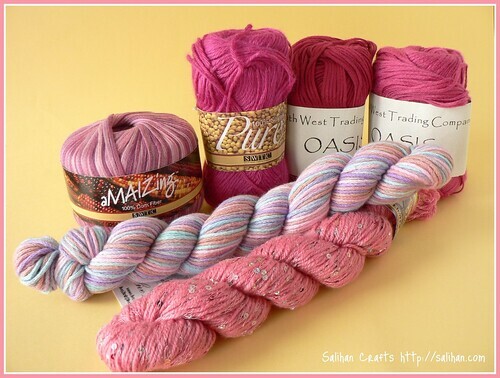 But if you can’t wait to enhance your yarn stash now, CLICK HERE to grab a one off deal from my shop. 35- 50% off! 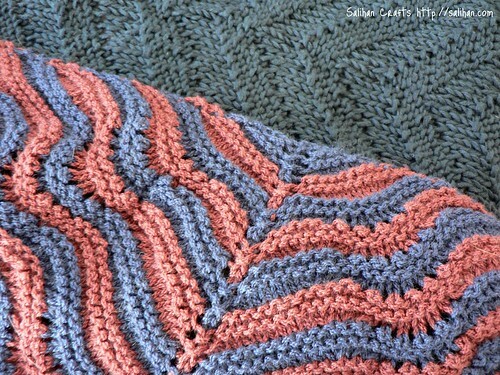 I have Shawl Collar Vest [pattern] and Feather & Fan Comfort Shawl [pattern] on my needles now. I am almost finished with the vest and I’m obsessively knitting it every chance I get. 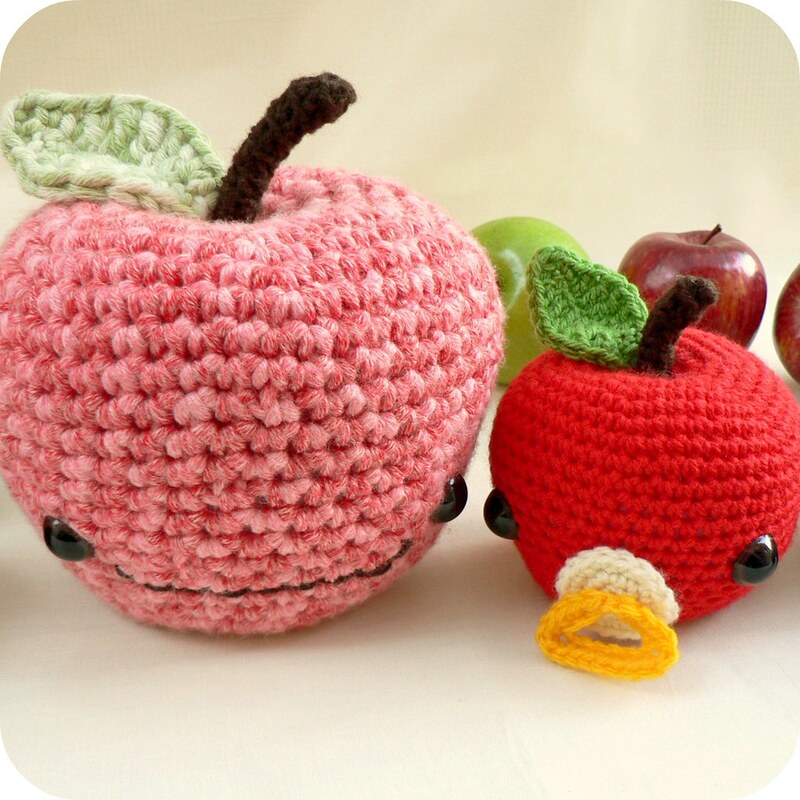 These are hot off my crochet hooks. I’m just waiting on a delivery to put the finishing touches on them. 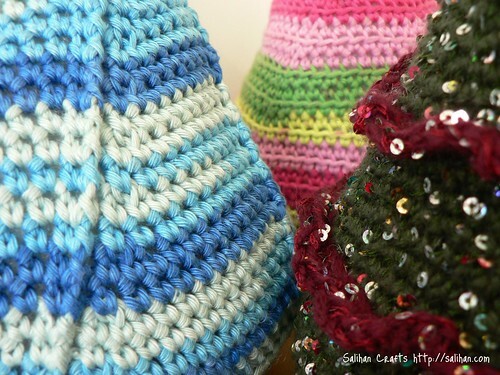 Watch this space for my new Christmas crochet pattern. Coming very soon!